Today’s task, sharing your launch date on your Facebook page (about 3 months before your planned book release), may be as easy as clicking the “Share on Facebook” button you have so lovingly installed on your very own blog for just that purpose. If you’ve followed my advice so far, you will have created your own website or blog where you have been regaling your readers with entertaining stories. Your latest such story should have been the announcement of your book launch date (or, if you feel too queasy about committing to a date you really have no idea if it’s realistic or not, the announcement of your intention to release a book SOMETIME). Your blog is your home, but posting content there is not enough. You have to be represented elsewhere on social media. Today, we will focus on Facebook. Please note that I said “Share on your Facebook Page.” By that I DON’T mean your personal Jane Doe Facebook profile where you share baby pictures with Aunt Mimi and the news that you’ve checked into the Grand Budapest Hotel this afternoon. What I mean is a real, professional, Facebook Page. If you already have one of those, you may skip the rest of this. Just share your launch date announcement and go unload the dishwasher. To create a Facebook page, log into Facebook (if you’re not on Facebook yet, where have you been living?). In the navy blue bar across the top, on the right hand side, you will see a little thing looking like a padlock. Next to it is a little down arrow. Click on it, and you will see a “Create a Page” option. Click that. 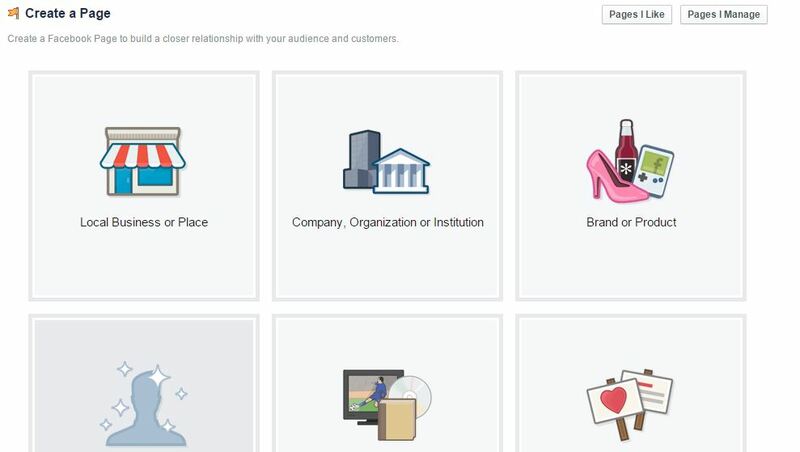 You will now get to pick a category for your professional Facebook page. Personally, I find these categories annoying. None of them quite fit my page, and what’s more, back when I created it, there were different categories, so I’m not even sure if it makes a difference what you pick. Don’t fret over it too long. For what it’s worth, under “Artist, Band or Public Figure” there is a sub-category called “writer,” so you might want to go with that. Fill out the “About” information, link back to your website, Twitter, etc., and complete all the other steps for the setup. Once you are done, your page is live, and Facebook will take you on a little tour to navigate it, which I encourage you to do. That’s it. From now on, whenever you have updates about your book and approaching launch date, share it as a link, a picture, or a video on your Facebook page. Share it on your personal Facebook profile as well. Invite your friends to “Like” your page to build up an audience, and enjoy seeing it grow!